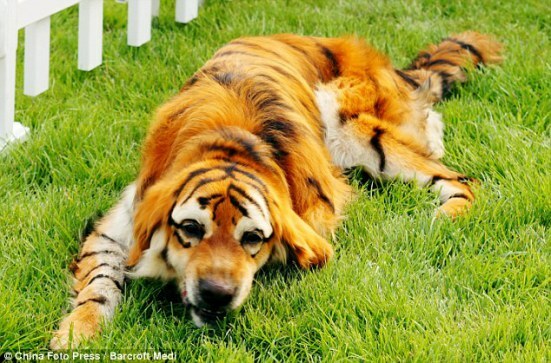 "Apparently" is the operative word here, because the latest nutsy craze in China is to have done anything a dog groomer can do to make your dog look like an exotic animal! 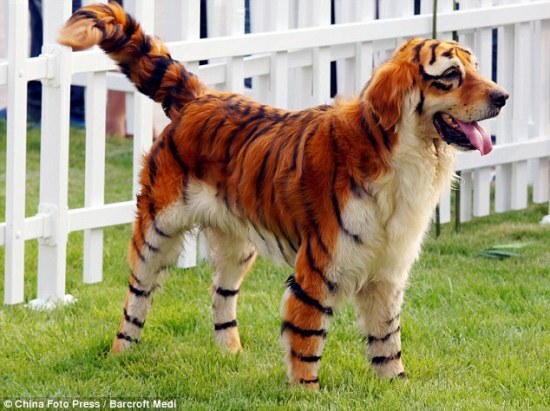 And then there's the Bengal Tiger dog, a Golden Retriever, bleached and dyed, for his masquerade. 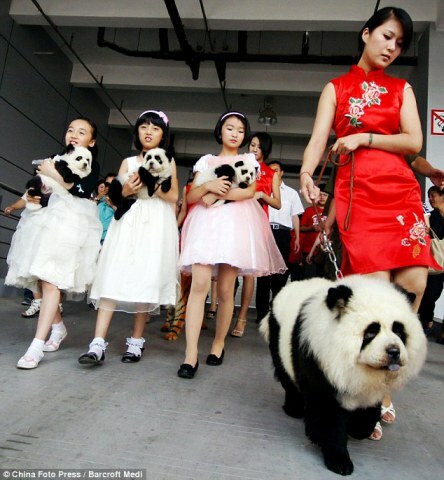 You'll have to admit that he's not as convincing as the Chow Chow - Panda Bears, but he joined them in Zhenghou anyway recently for a public showing. 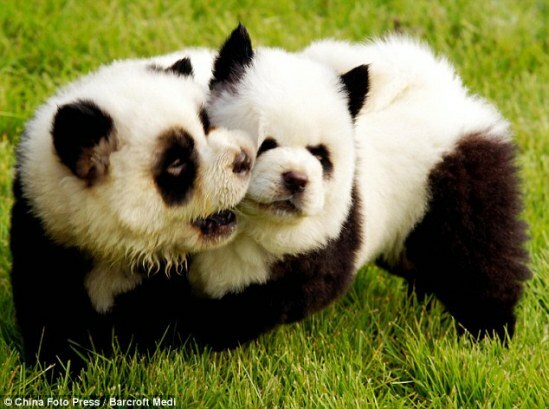 Oh, spare me the reality!